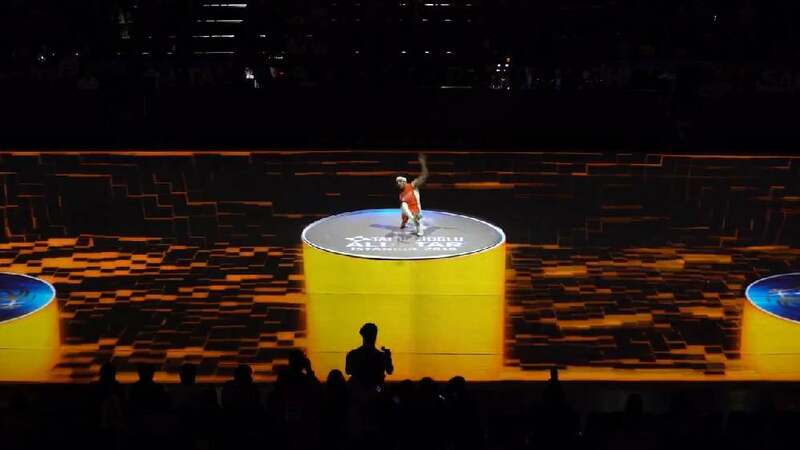 This opening show took place on the basketball court before the three-point contest at the All-Star Event 2018 in Istanbul, Turkey. Created via 3D mapping and motion capture technology, it offered an immersive multimedia experience. All animations of the show were synchronised with the performer by staging interactive choreography. The most important aspect of the performance was a virtual dance group with motion data of the performer using motion capture technology. The huge virtual characters in the show were inspired by the ING BANK’s brand image, which is identified with basketball. The characters had been transformed and reshaped through multidimensional technologies.